Recorders or digital voice recorders are with out a doubt one of the most important pieces of equipment that you should have in you investigators toolbox. 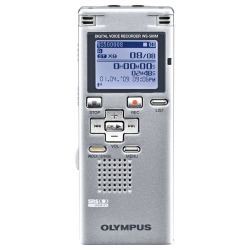 Audio recorders are used for many different purposes throughout an investigation. Recorders are used for interviews, spontaneous thoughts, your notes and electronic voice phenomena (EVP). 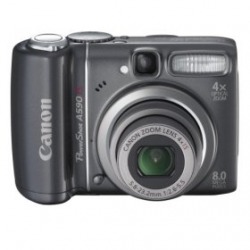 Regardless of what you've heard digital cameras are great tools for ghost researchers. Once upon a time they had their limitations and problems but that is no longer the case. Not only do they allow you to see instantly if you have a positive photo, they can also take photos in limited infrared range of light. The Electromagnetic Field Detector, also known as an EMF, is the modern day ghost researcher's tracking device, a very important piece of equipment. With this instrument it is possible to locate and track energy sources. It will detect fluctuations in electromagnetic fields and low strength moving EMF fields that have no source. It is a common theory that spirits disrupt this field in such a way that you can tell one is present by higher than normal readings with this meter. Before using the EMF as a ghost research tool on an investigation be sure to walk around the area and take initial readings around energy sources such as light poles or electrical outlets to be sure of the readings you receive while scanning the area during the investigation. 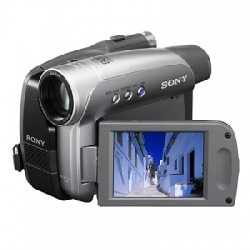 Video cameras are an important instrument for an investigation. Unlike still cameras they provide us with constant visual and audio surveillance for review and observation. The video cameras we use are equipped with infrared capability and this is the mode we use. With video any phenomena occurring can be documented in its entirety. 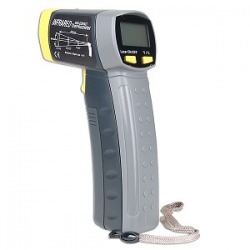 This will show the length of time the phenomena occurs, what is happening, the conditions surrounding the phenomena, and possibly even the cause of the phenomena..
Thermometers are an instrument that is also very useful There are two types used regular digital thermometers and infrared non contact thermometers. 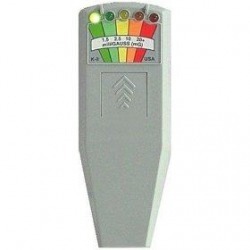 When used on an investigation this will aid as a detection system for spirit presence. Rapid temperature drop of 10 degrees of more could indicate spirit presence. I recommend using the infrared non contact thermometers but cause they react in less than a second to a temperature drop and you can scan a large area quickly.